Well here it is…my 100th blog post. If you had clicked onto this blog hoping to see some draw dropping images of maybe a wintering yank Warbler, colourful Blue-tail or even a dodgy Pond Heron then I'm afraid you're reading the wrong blog! 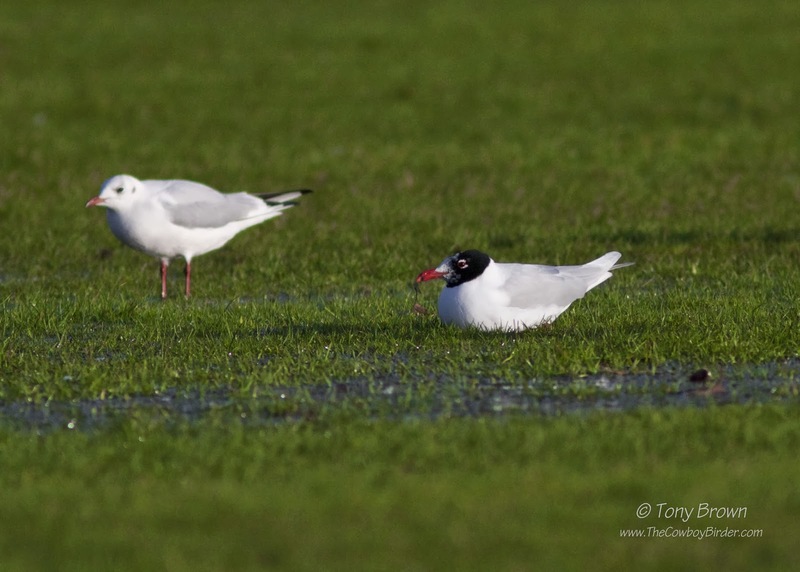 The best I can offer you for my century of posts is an adult Mediterranean Gull - all the same, it is a rather smart looking bird and my 4th on Wanstead Flats in as many months. 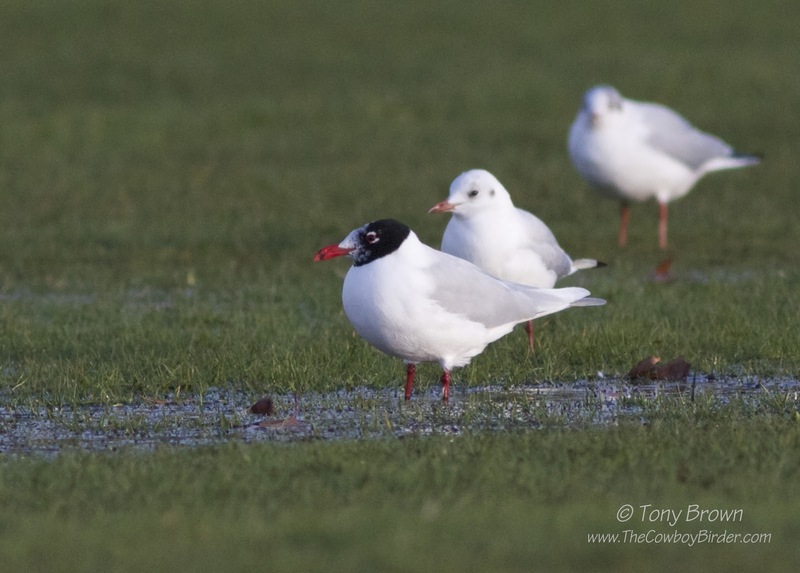 It wasn't a surprise when Mr Croft came up with the goods midweek, with the ever increasing mass of Gulls congregating on the Flats - the law of averages said there had to be a Med Gull out there somewhere. 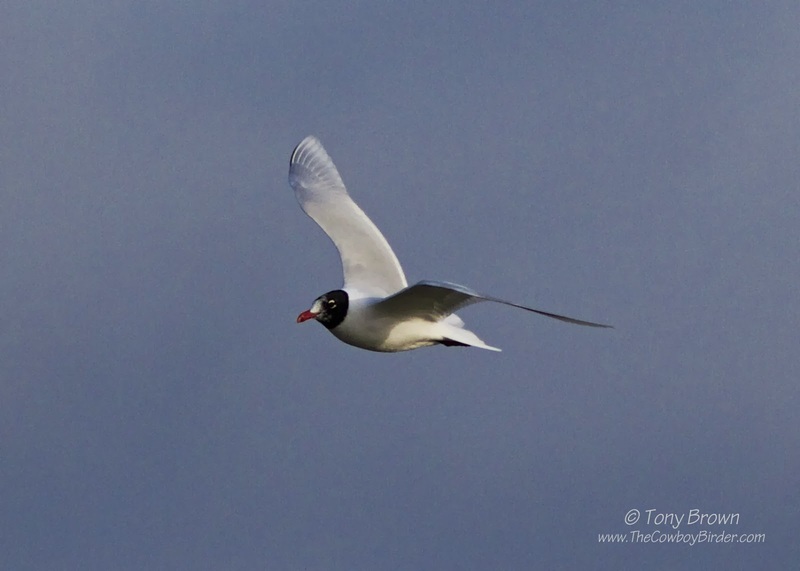 As I battled against the wind on Saturday morning, I was pleased to see Dan had already saved me some time and effort by already finding the bird again, as crossing the exposed Flats in this freakishly windy weather was tough going - at times I struggled to stand and hold up my bins, and as for trying to actually photograph the bird (even with the aid of an image-stabilising lens) eating an ice-cream whilst sky-diving might have been a bit easier! So I'm actually pleasantly surprised with the resulting images considering the weather conditions. 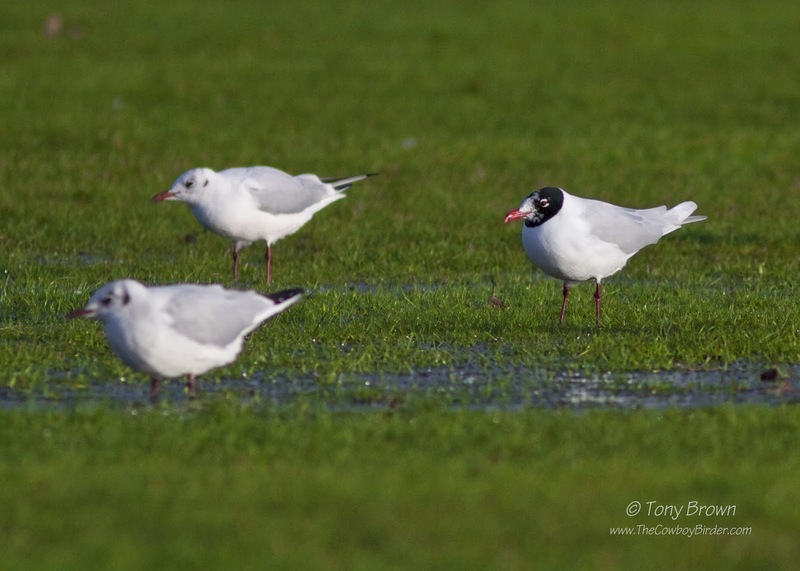 But, after yet another winter storm had blown through, I couldn't help but think, seeing another Med Gull was ok but I left feeling a little bit robbed, as the thought of seeing a slightly rarer inland Larid in the form of maybe a Kittiwake or Little Gull off the back of this latest storm would have been a far greater patch reward and a more befitting way to round of my 100th post - oh well, maybe I'll come up trumps when I hit the double-century.